Greater square feet and longer lifespan are characteristics of our 20-foot wide metal portable garages. When it comes to withstanding the elements, each offers sturdy construction of a heavy-duty, galvanized steel frame and 29-gauge steel roof. Not only does the shelter naturally block UV rays and water, in turn keeping them away from your hard-earned investments, but additionally resists rot, rust, termites, and fire. Ample cubic feet underneath provides sufficient space for sheltering multiple cars, boats, equipment, or even an RV. 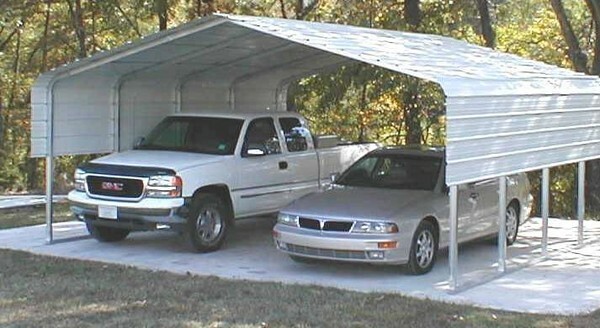 Built to last for many years in the elements, our 20-foot wide metal carports provide an efficient and durable storage solution. Select from several height and length combinations.